This phone which is a successor to the C5 series is well equipped for the price. It has a 3.2-inch nHD (360 x 640) capacitative display, 2GB or internal storage, WiFi and 3G (HSDPA/HSUPA) connectivity and GPS, all for Php9,000. I am not sure that the suggested retail price on this model is, but it can be found in the market for 9K, with an official Nokia warranty. What might be a concern to many is the amount of RAM at just 256MB. That is not a concern, since the phone runs Nokia's Symbian operating system which really does not need a lot of RAM to run efficiently. The other point of concern is the operating system. It is a Symbian Anna device, which will be getting upgraded to Belle by the end of the year. While Symbian S3 was positively Jurassic and Anna was a definite improvement, Belle is a very impressive operating system. The problem is Nokia already committed to move the Windows Phone 7 platform and Symbian devices will be phased out over the next two years. This means you can expect third party app support to diminish over time. If Nokia had come out with this last year, I think things might have been very different today. 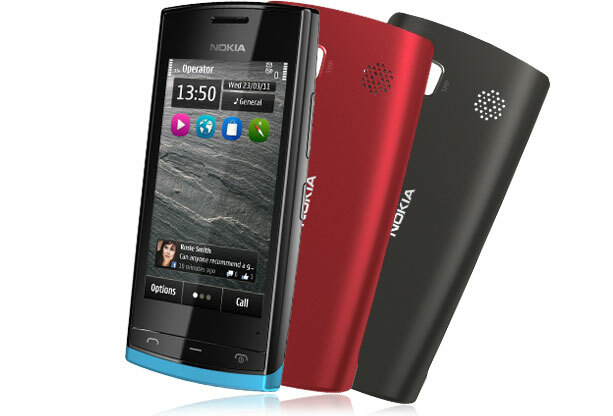 No Windows Phone 7 and Nokia and its Symbian OS would be in the thick of the fight for smartphone supremacy. If you are an Android, Bada, BlackBerry, iOS or Windows phone user, it is hard to recommend this phone or any other Symbian Nokia phone for the matter. No point moving to a ecosystem which is about to be phased out soon. On the other hand, if you are a long time Nokia user, and rely on Nokia apps and services, this phone is priced low enough so as not to make you regret not investing in a different ecosystem earlier. It would be the perfect phone for one last dance with Symbian.